Often branded as Japan’s answer to Kraftwerk, Yellow Magic Orchestra are set to enjoy a lengthy reissue campaign that extends well into 2016. From their self-titled debut right up to 1984’s After Service, nine crucial albums will be fired up and repressed to 180g transparent vinyl by Music On Vinyl. 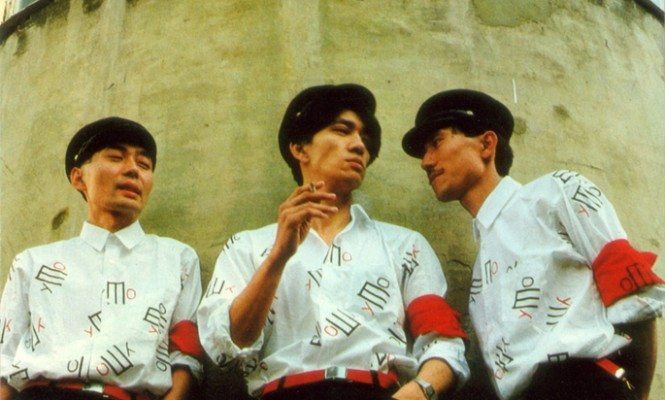 Few bands have been as influential in the realm of electronic and synth-based music as Yellow Magic Orchestra. Their reach extends from New Romantics like Duran Duran to The Belleville Three to hip-hop pioneers and video game composers. Yellow Magic Orchestra themselves, in particular founding member Ryuichi Sakamoto, were heavily influenced by Kraftwerk. The band took Kraftwerk’s blueprint for electronic music and blew it wide open. Where Kraftwerk were rigid and serious, Yellow Magic Orchestra were sloppy and skittish.